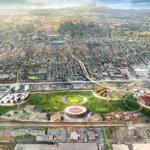 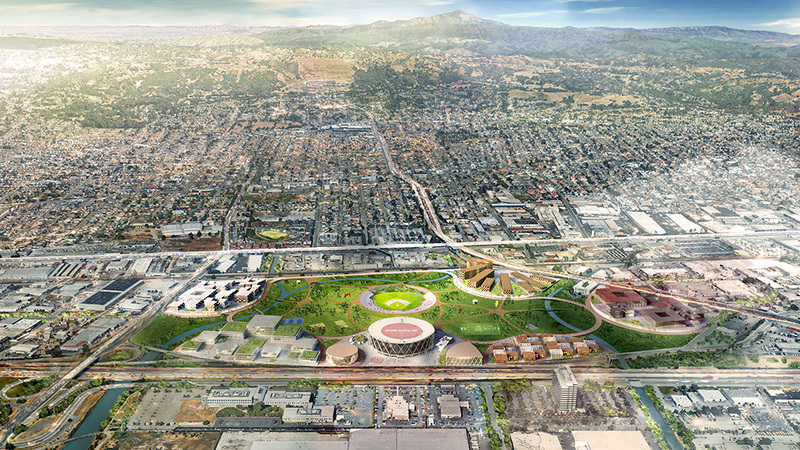 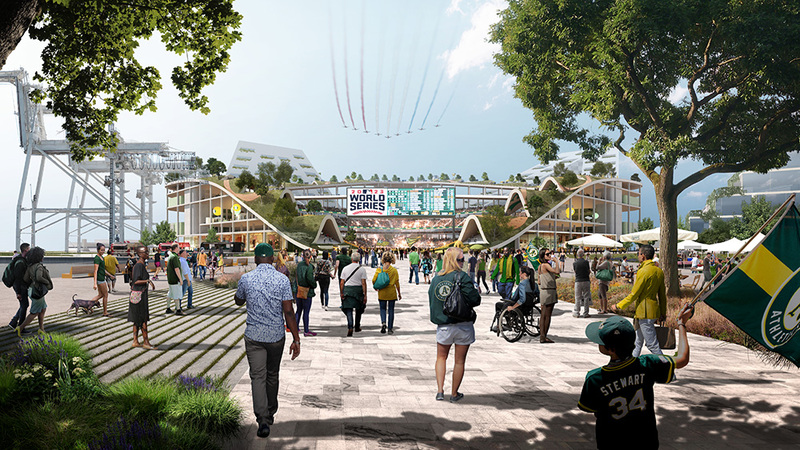 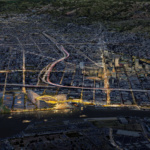 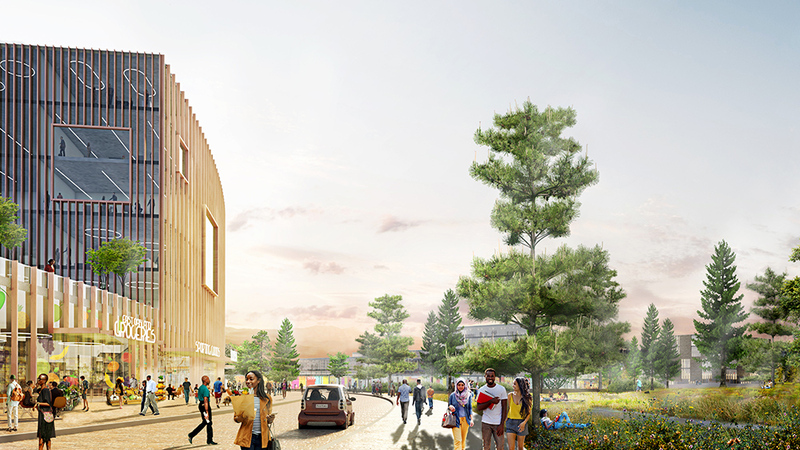 Bjarke Ingels Group (BIG) and the Oakland Athletics have unveiled designs for a transformative scheme that would bring a new baseball park, housing, recreational areas, and a business campus to the city. 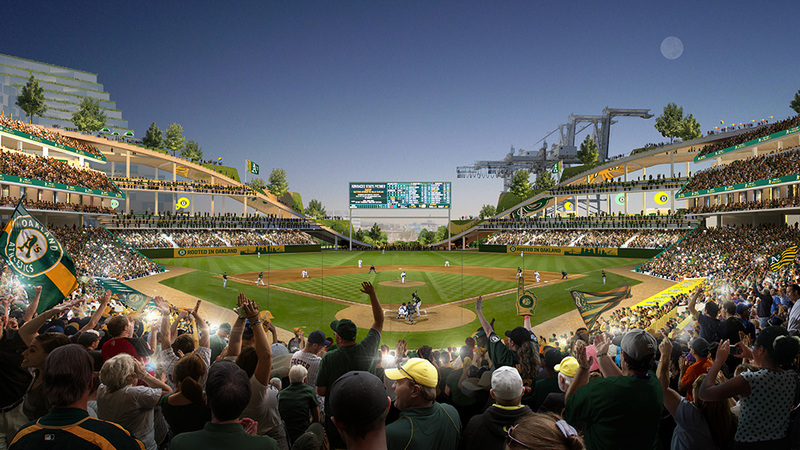 As one might expect, the project is being pitched as a double-play. 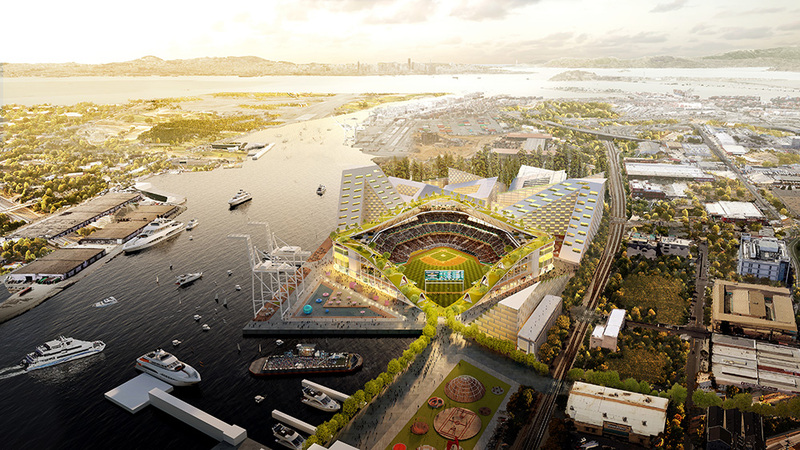 First, the project team aims to create a new professional baseball park on Howard Terminal. 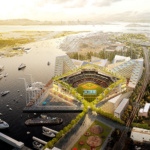 The scheme would include an unspecified number of new housing units organized into a collection of wedge-shaped towers surrounding the ballpark. 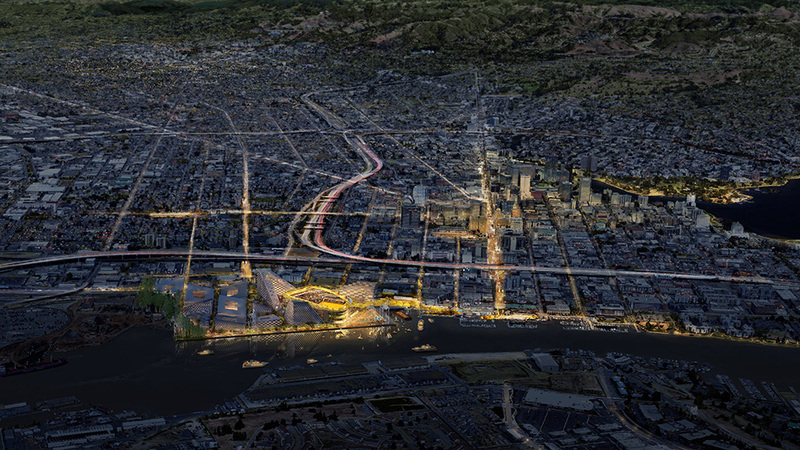 The new district would offer generous pedestrian-oriented areas, including bay-facing wharves and a terraced rooftop park. 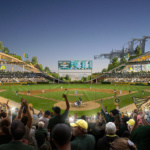 The San Francisco Chronicle reported that the design of the new ballpark emulates turn-of-the-century baseball diamond designs, including the one found at Shibe Park in Philadelphia, where the A’s once played. 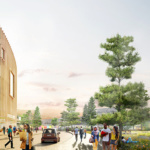 Gensler has signed on as executive architect for the project while James Corner Field Operations will be providing landscape architecture designs for the scheme. 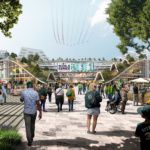 Under the proposed plan, the A’s current stadium, the Oakland-Alameda County Coliseum, would receive a buzz cut as it is converted into a sunken amphitheater situated at the heart of a new municipal park. 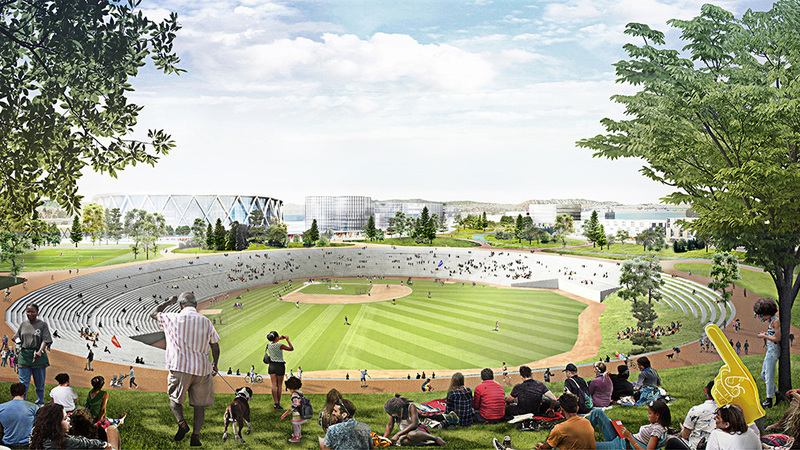 The proposed park would include the adaptive reuse of the Oracle Arena, which is currently used by the Golden State Warriors basketball team but will become vacant when they move to San Francisco for the Manica Architecture and Gensler–designed Chase Arena next year. 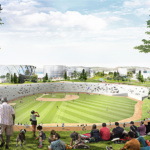 The proposed park will be ringed with new uses, including mixed-use housing, a tech campus, a business park, a “science and technology university,” and other job creation- and community-focused areas.